The live location feature has some UI improvements in this update. When the feature is enabled, in the chat list you can see that the live location icon is green now. Instead, for the normal location sharing feature, in this beta there is a new icon for the “Send this location” option. 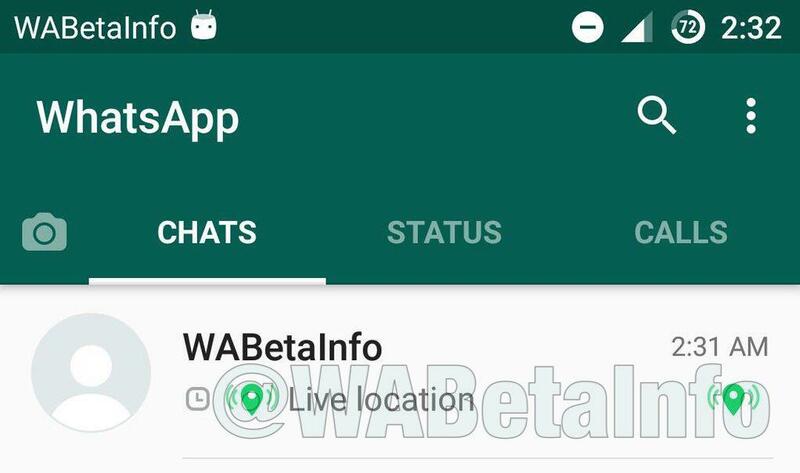 Note that the live location feature is disabled by default (learn here what is a hidden feature and how to enable it) and it will be enabled for all WhatsApp users in next updates when WhatsApp developers will be sure that the feature is finally bug free and it’s ready to be used. Previous PostPrevious WhatsApp beta for Android 2.17.210: what’s new?